The Universal Studios International Research team contacted LSBU when the internship position became available – they are constantly on the hunt for bright and motivated students to intern in their various departments. Kurt, on the BA (Hons) Film Studies course, responded to the request and attended a Universal open day to find out more about the internship at their offices in Central Saint Giles, central London. He liked what he saw and decided to put everything into applying. Working on wowing Universal with industry insight was clearly a smart tactic because after two interviews (the second with the Senior Vice President of Distribution at Universal) and a very nervous wait, Kurt was thrilled to hear he had been successful in securing the position. Kurt has now been at Universal three months and it’s fair to say he is loving every minute. On their website, Universal ‘warn’ potential interns they won’t be making coffee and doing the photocopying. Interns are expected to perform at the same level as entry-level staff, and Kurt has felt valued as a team member. “My roles mainly include box office maintenance, projected gross for future releases and week-by-week estimates for what revenue is going to be made over every international territory, but more importantly I'm trusted with ad-hoc tasks which offer a lot of diversity to the role as you could be asked and trusted to work on something independently,” he explains. I think the internship is like no other, you have roles and duties that are absolutely essential to the day-to-day running of the company and are placed in a position of real trust by the team - that's great as you find yourself feeling like you really matter. In terms of opportunity this internship is incredible. It has thrown me into a huge industry at the very highest level and at such a young age. Practically I have already learnt so much and I've only been there three months! Universal internships are not just available to Film Studies students; they’ll accept students from a range of disciplines as long as candidates demonstrate understanding, a complementary skill-set and potential. Kurt would advise any students on the Film Studies course to look out for invites from Ricardo to the open day, because it’s an invaluable experience for anybody looking to get a foot through the door in the film and media industry. 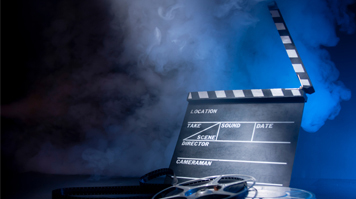 Read more about studying BA (Hons) Film Studies at LSBU.